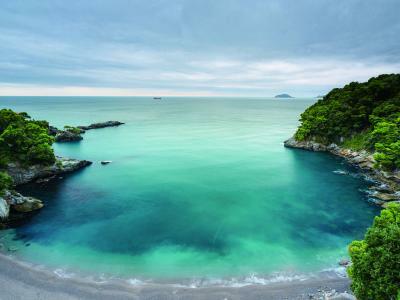 It might seem like choosing a landscape photography bag should seem straightforward. After all, you just need something to contain your gear while you wander around outdoors, right? 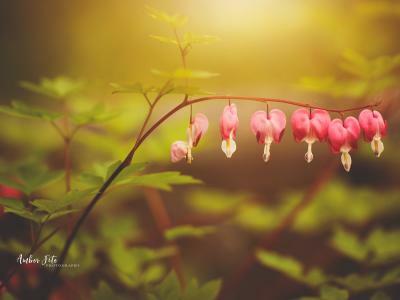 If you want to get a bag that is comfortable, suits your needs as a landscape photographer, and fits your budget, you need to put a little more thought into it. In this guide, I offer up a few hints for finding the ideal outdoor camera bag. 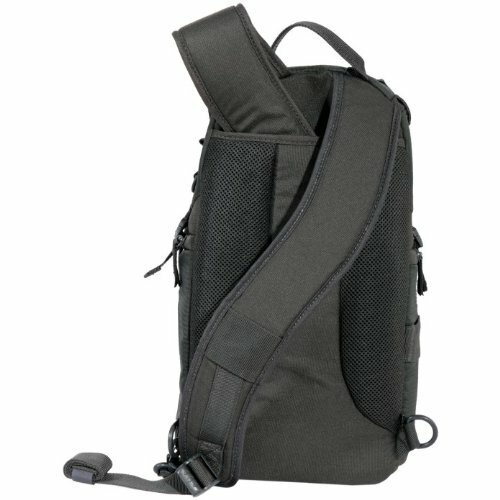 Editor's Note: Vanguard camera bags are used as examples in this article because they are well made, provide tons of features, and are priced for any budget. 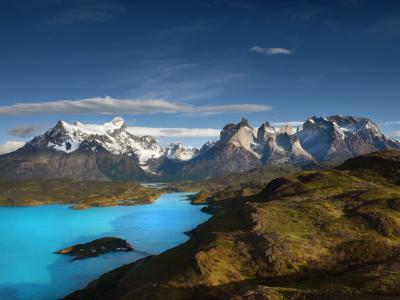 If you ask me, camera backpacks are the way to go for landscape photographers. When you're hiking along a trail, you can't exactly tow a roller bag behind you, nor do you want a messenger bag weighing down one shoulder when you're outdoors for hours on end. 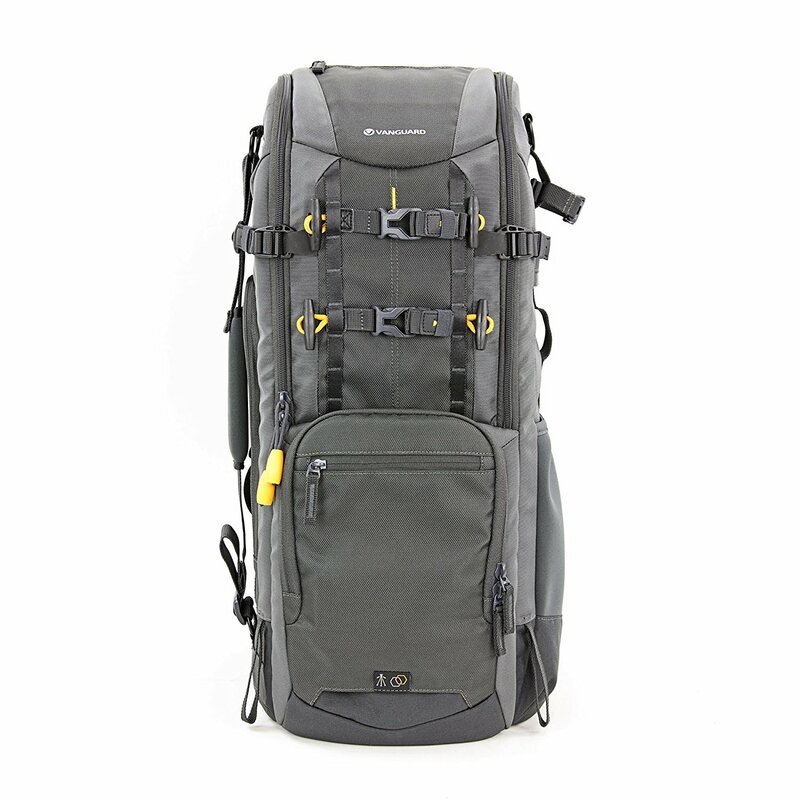 Instead, a camera backpack like the Vanguard Alta Rise 45 shown above is an ideal choice because it offers quick access through side access points when time is of the essence, while also spreading the load of your gear out over both shoulders, your back, and hips. 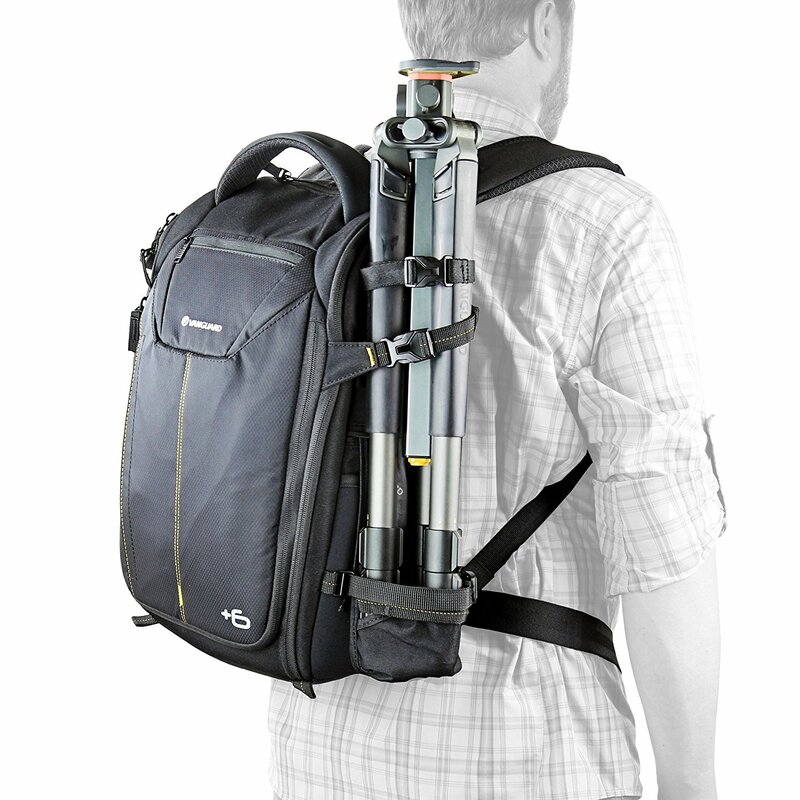 Additionally, camera backpacks like this offer systems that make carrying a heavy load much more comfortable. In this case, the Alta Rise 45 has an ergonomic Air System on the back to keep you cool, and a waist harness that provides extra stability as you're walking while also helping shift some of the weight of the load to your hips. It's even got a Stay Steady tripod carrying system that keeps your tripod balanced, so you can walk in balance as well. Again, when shooting outside for long periods of time, a backpack is simply a great choice. They offer excellent comfort, tons of space, and easy access to your gear as well. Another factor to consider when shopping for an outdoor camera backpack is its storage capacity. Granted, not everyone needs a huge backpack like Alta Sky 66 shown above, which can accommodate a pro DSLR with up to an 800mm lens attached. 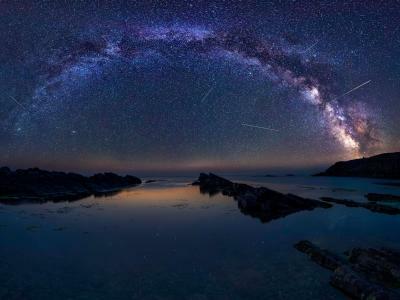 Instead, many shooters just need something that can hold a consumer-level DSLR, a couple of lenses, and has a means of carrying a tripod as well. The Vanguard VEO 42 shown above and below is a perfect choice for such occasions. 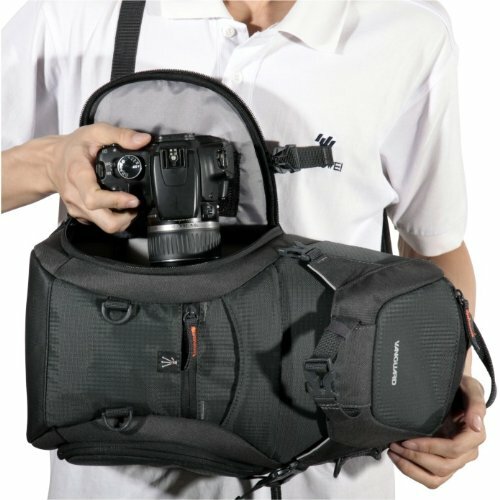 It can accommodate a DSLR with lens attached, one or two other lenses, a flash, and other accessories. It even has a sleeve to carry your tripod. 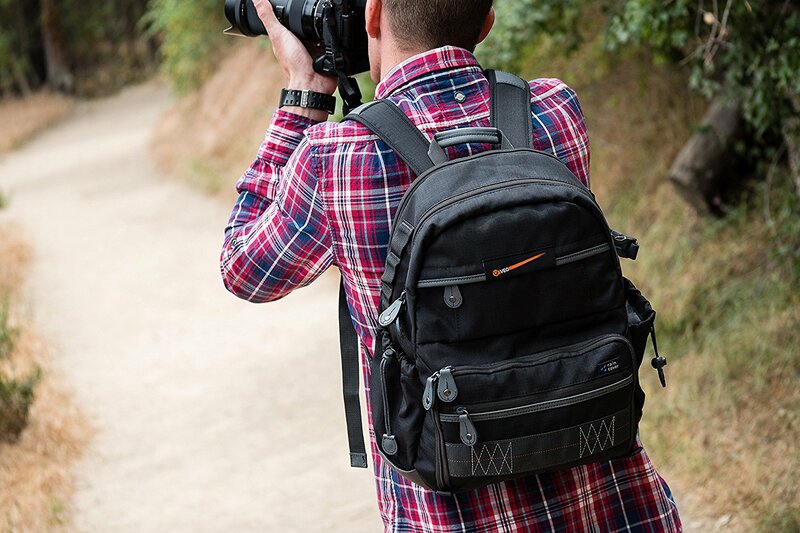 And like all good camera backpacks, it has quick access so you can get to your gear when the moment to take the shot arises and features comfortable padding on the shoulder straps and the back of the bag so you can carry it for long periods of time with less fatigue. 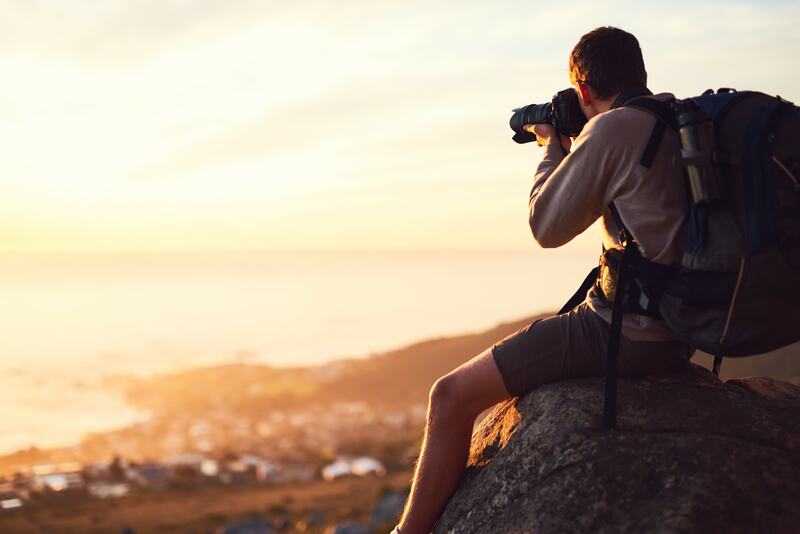 Fortunately, Vanguard has a complete line of backpacks, from small to large, that can suit any landscape photographer's needs for carrying capacity. Sure, the comfort a bag affords you when carrying your gear and the amount of gear you can carry in the bag are hugely important. 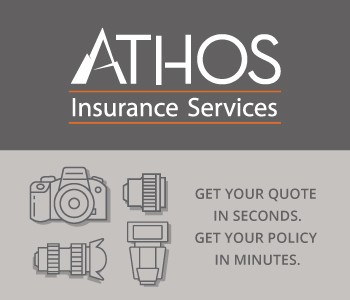 But the small details that a camera bag provides can often mean the difference between a so-so bag that you live with and a fantastic camera bag that makes the process of taking photos easier. 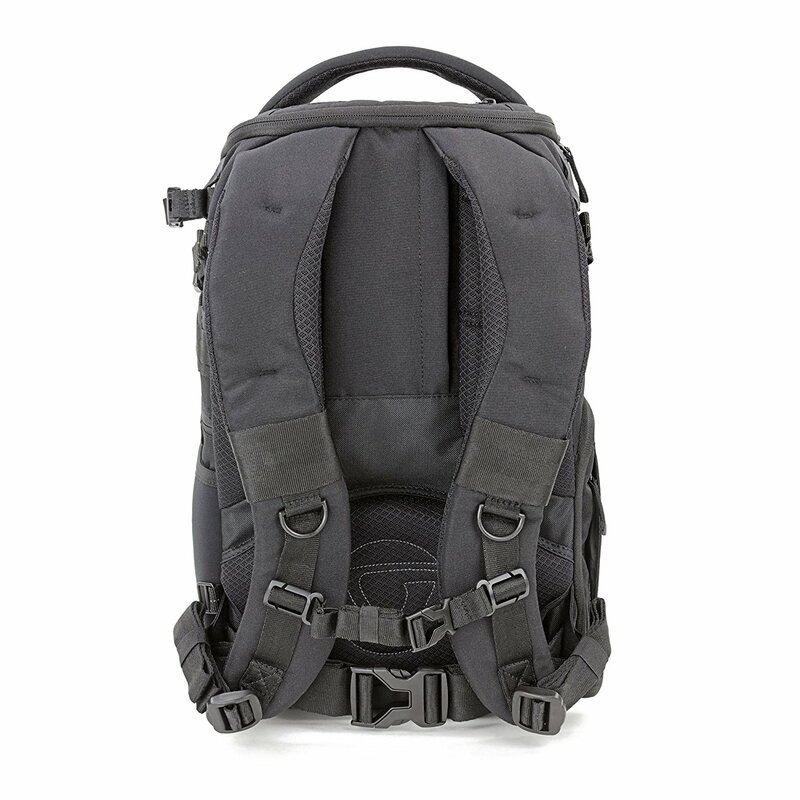 Take the Vanguard Adaptor 41 backpack shown above as a perfect example. You can easily swing the backpack around front and access your gear through side access panels on the left and right side of the bag. Not only that, this backpack can convert from a traditional backpack into a sling bag by tucking one of the shoulder straps into the rear sleeve of the bag to give you even more versatility. With a customizable interior to accommodate different kinds of gear, a tripod holder for easily carrying your tripod, and high-quality zippers that slide easily and provide the ultimate in protection for your gear, these small details make this little bag the height of functionality. Editor's Tip: Many Vanguard backpacks also have integrated rain covers, that way you don't have to worry about your gear getting wet when the weather gets nasty. The most important factor when buying camera gear is generally price because not everyone has $300 or $400 to spend on a camera bag. But that's where Vanguard makes its case as one of the best camera bag companies out there. 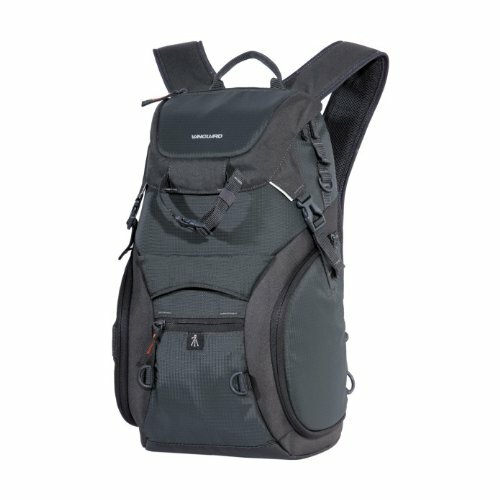 They have a wide variety of backpacks (and many other styles, too) that fit any budget, whether you have $50 to spend or $500. And don't think that the less expensive bags in the lineup are somehow subpar, because that couldn't be further from the case. In fact, the Adaptor 41 discussed earlier currently sells for $64.99. 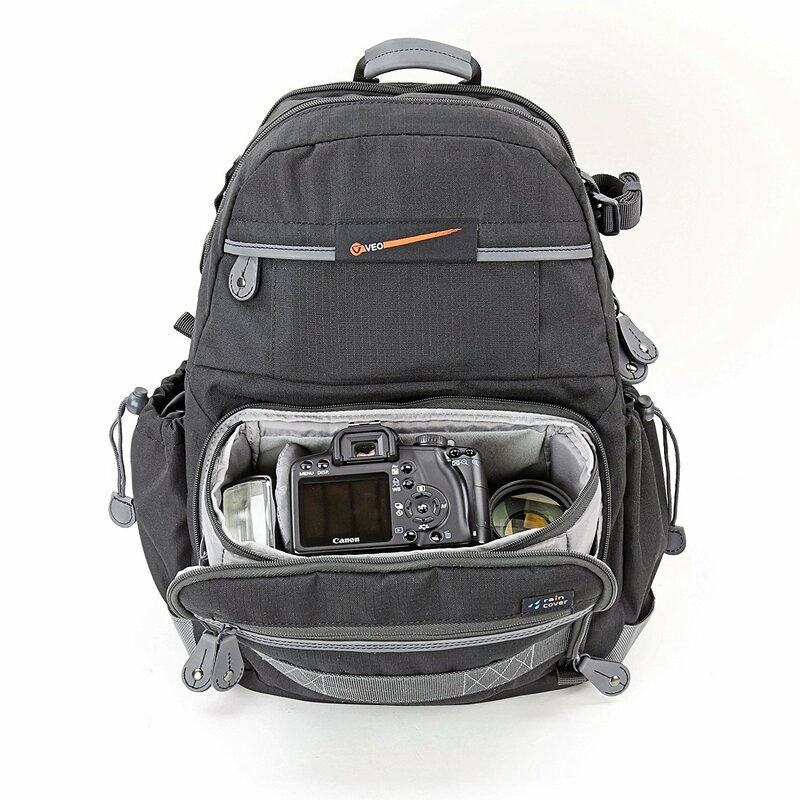 So, don't think that you have to shell out tons of money to get a great outdoor camera bag. Instead, check out Vanguard's lineup of bags and get a high-quality rig that will serve you well for years to come.